This feature is available in the Complete edition of ModelRisk. Aggregate distributions are the sum of a number of independent, identically-distributed random variables. 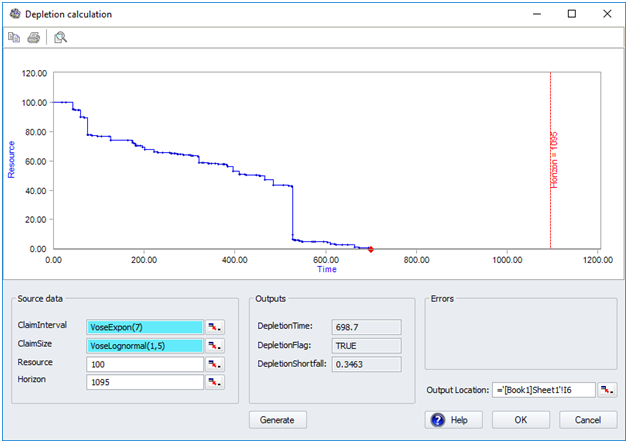 The Aggregate Monte Carlo tool provides a solution to a very common problem which is frequently incorrectly modeled. 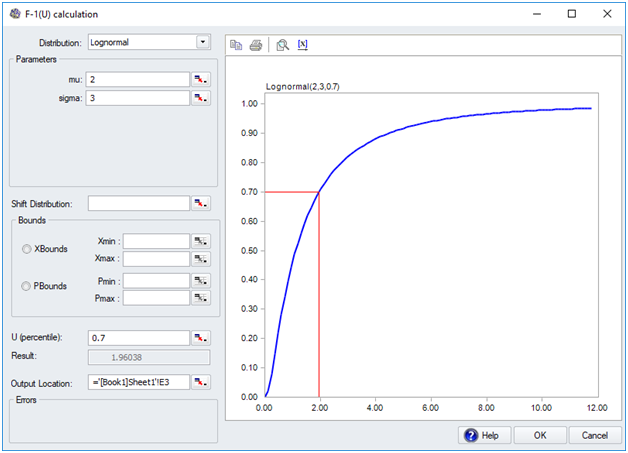 It uses looped simulation to construct the distribution for multiple aggregate distributions. 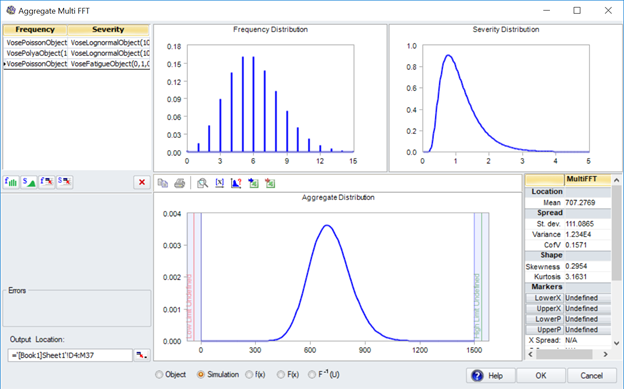 The Multivariate Aggregate Monte Carlo tool uses the Monte Carlo method to simulate the distribution of the sum of multiple aggregate distributions, where the frequency distributions for each aggregate distribution can also be correlated. 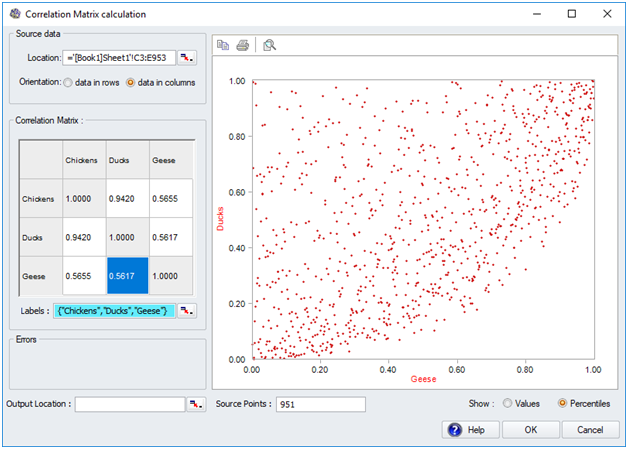 The StopSum tool returns the number of random variables that will be needed to sum to a specified total. This is a common problem in many areas like sales forecasting, budgeting, and resource allocation. 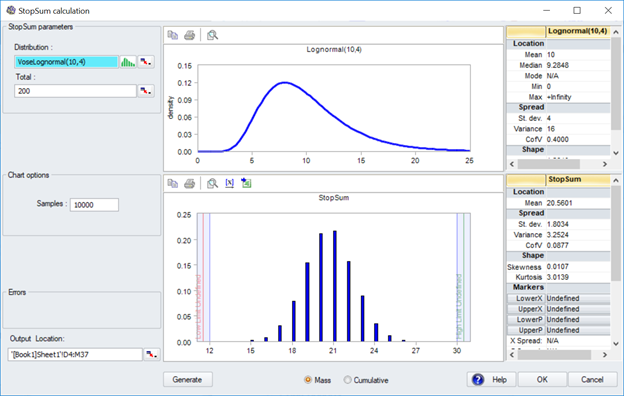 The SumProduct tool returns the sum of a number of random variables, each of which is the product of two or more random variables. For example, sales price and profit margin can be random variables. The SumProduct function could then be used to simulate the total profit from a random (or fixed) number of sales where the price and profit margin for each sale are uncertain. This is a common problem in many areas like sales forecasting, budgeting, and resource allocation. Correlation is a very important component of risk analysis modeling. It is often the case that two or more uncertain variables are correlated meaning, for example, that if one variable takes a high value, another will also take a high value (or the reverse). There are several ways to model correlation. You can read about them here. One method is to control how distributions are randomly sampled using copulas. 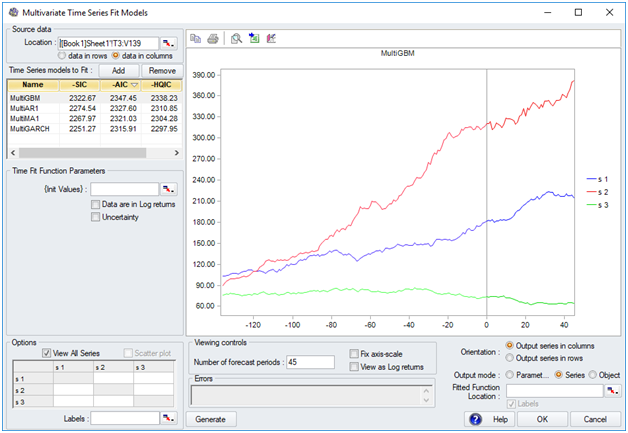 ModelRisk offers a wide range of copulas, which can give different levels of correlation as well as different correlation patterns. 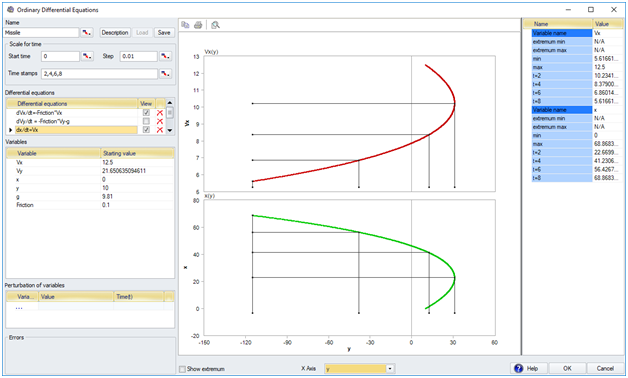 The Bivariate Copulas accessed in this interface have all the features of Multivariate Copulas in the other interface in this group, but with the addition that the pattern can be rotated allowing extra flexibility. 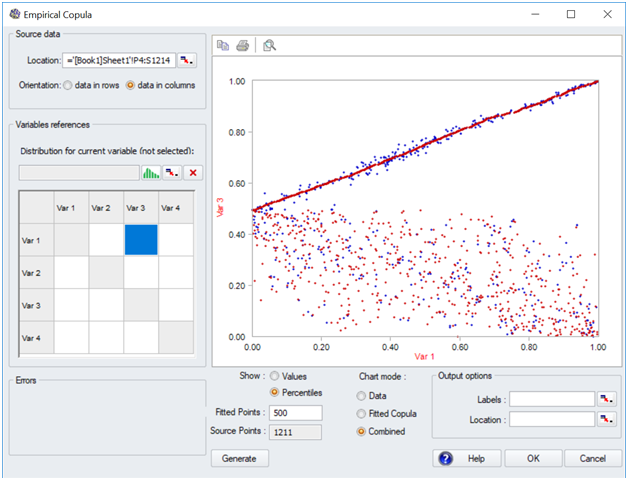 ModelRisk lets you fit copulas (correlations structures) to your data, using the most up-to-date statistical methods. 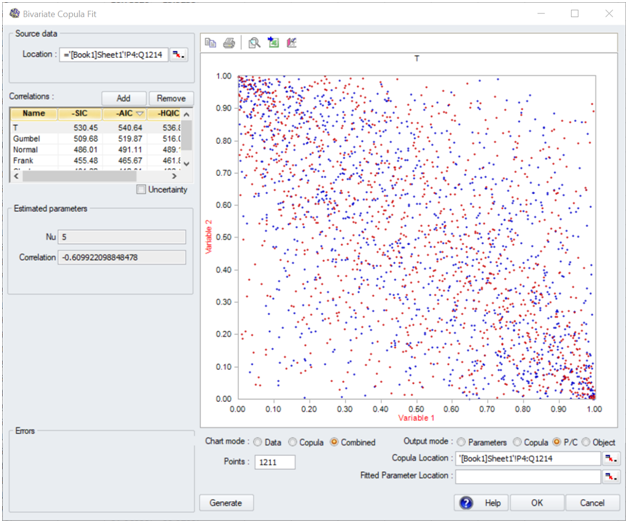 The bivariate copula fitting tool has the ability to match all possible correlation directions. 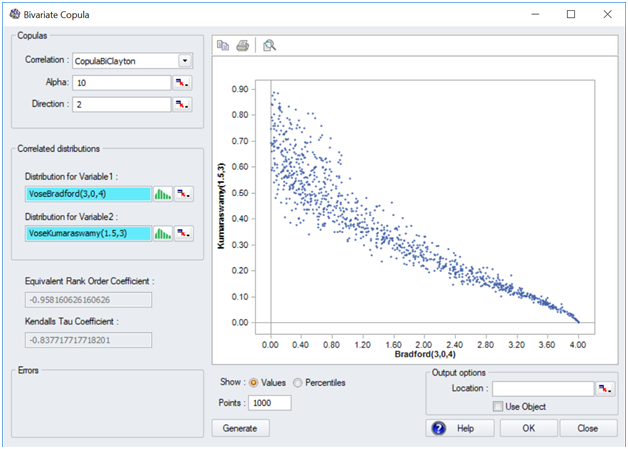 ModelRisk lets you fit copulas (correlations structures) to your data, using the most up-to-date statistical methods. The standard copulas, however, will often not have the same shape as the data. The empirical copula tool solves this problem by statistically reproducing any correlation pattern in your data, and for any number of variables. 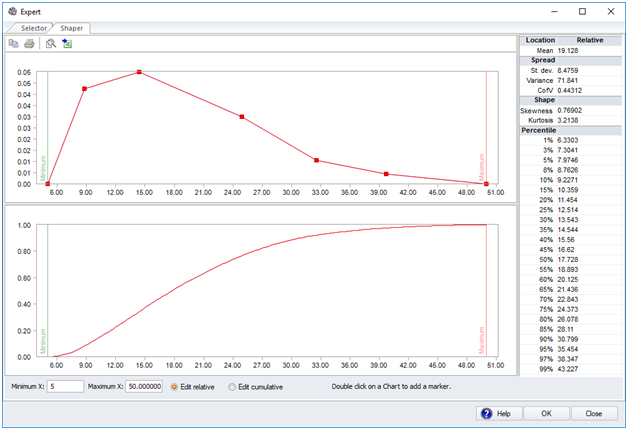 ModelRisk lets you fit a wide range of time series models to your data, using the most up-to-date statistical methods. These can then be used to make statistical projections of what the variable’s values might be in the future. 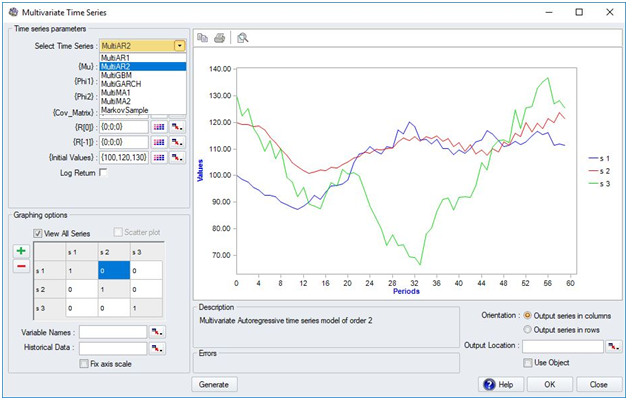 The multivariate time series fitting tool is used when you have several related variables to forecast, like exchange rates, sales volumes, interest rates, or stock prices. There are fewer multivariate times series models in existence than univariate models, so if you have a single variable to forecast, you should use the Univariate Time Series fitting tool. 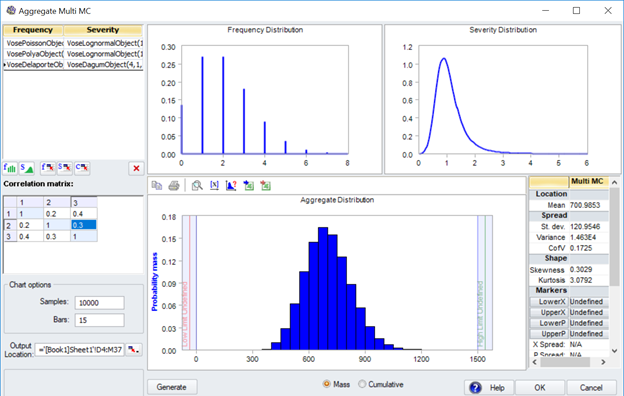 The probability calculator returns the probability of observing one or more specific values from a given distribution. 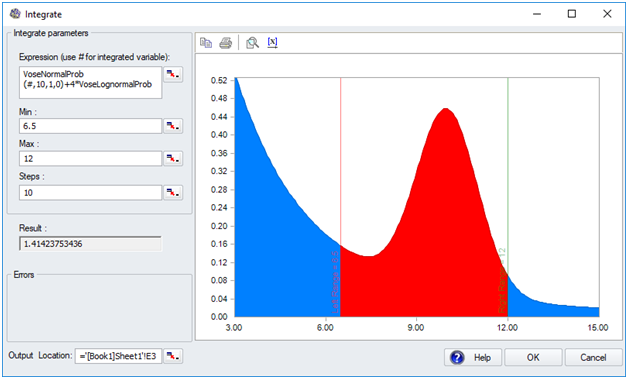 It is extremely useful for building probability complex probability calculations. 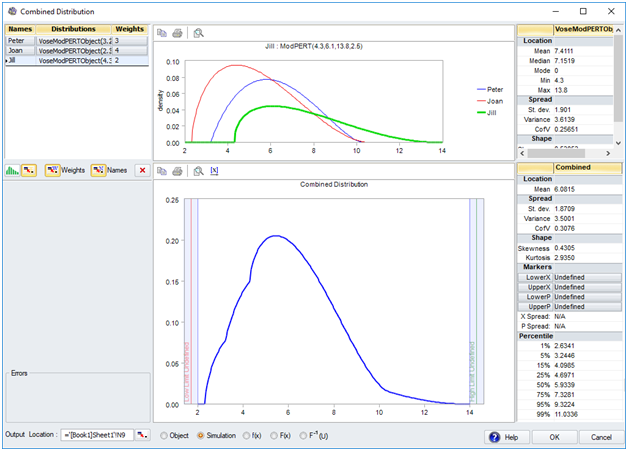 For example, one can use this tool to build a special likelihood model and then use Excel’s solver to find the model parameters that give the highest probability of observing the data. 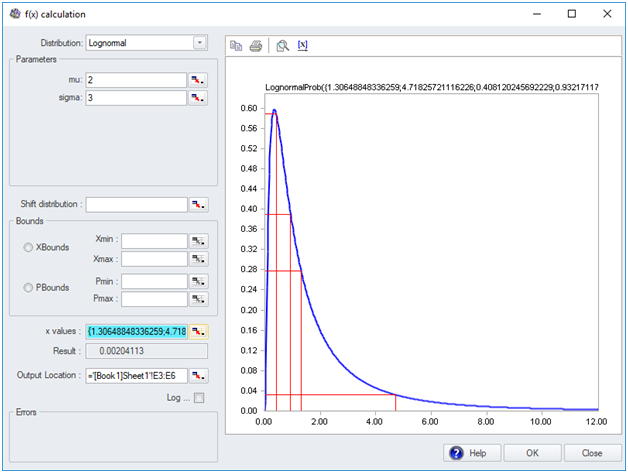 The tool allows bounding and shifting of the distribution, can be used with all of ModelRik’s distributions (over 100) and can return log-probability values if required to make calculations more manageable. The cumulative probability calculator returns the ascending cumulative probability for one or more specific values from a given distribution. 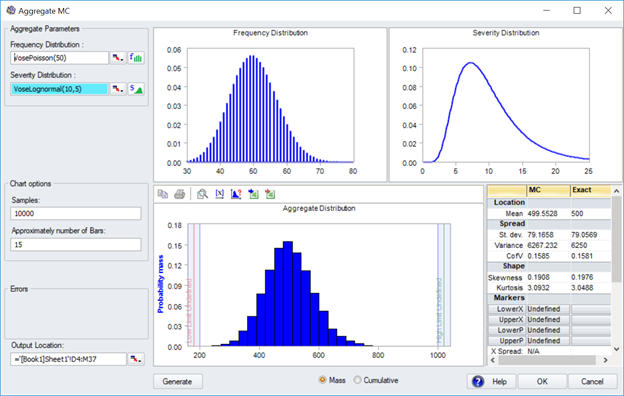 Together with the probability calculator, it is extremely useful for building probability complex probability calculations. 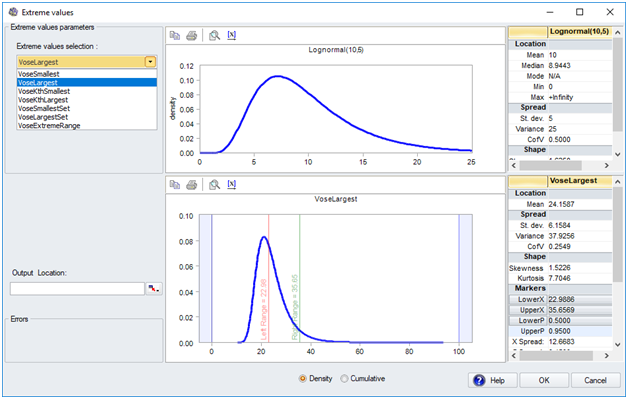 For example, one can use this tool to build a special likelihood model and then use Excel’s solver to find the model parameters that give the highest probability of observing the data. 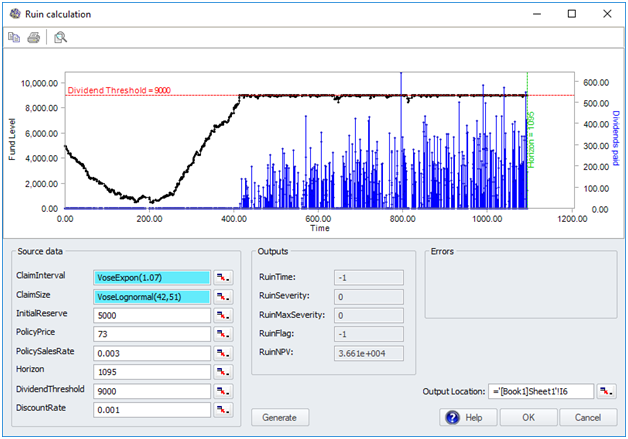 The tool allows bounding and shifting of the distribution, can be used with all of ModelRik’s distributions (over 100) and can return log-probability values if required to make calculations more manageable. 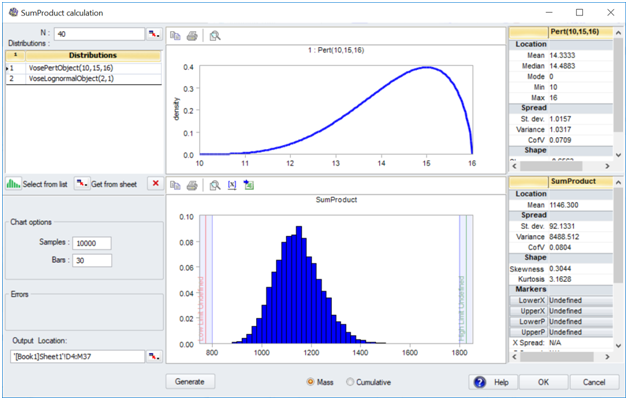 The quantile calculator returns the value from a given distribution which has the specified cumulative probability. 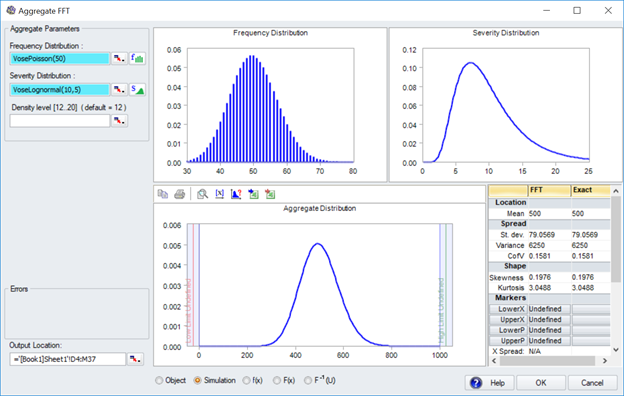 In Monte Carlo simulation, it’s primary use is to build correlations between different distributions. 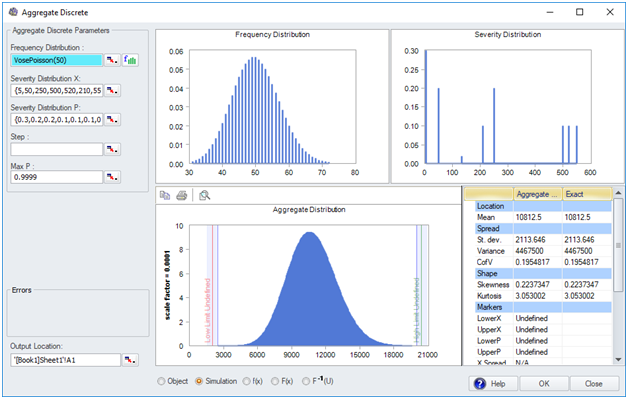 ModelRisk offers two expert elicitation tools to help you select the appropriate distribution based on expert judgment. 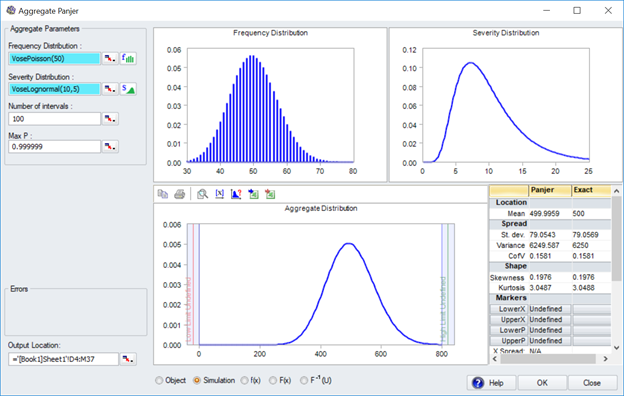 To evaluate the appropriate design level one must evaluate the distribution of such extremes based on the random number of events that may occur and the probability distribution of the magnitude of an event. It sometimes occurs that a single know type of distribution does not adequately reflect the behavior of a random variable. One technique in common use is to splice two distributions together. One type of distribution is used to reflect the main shape, the other to give a different tail. 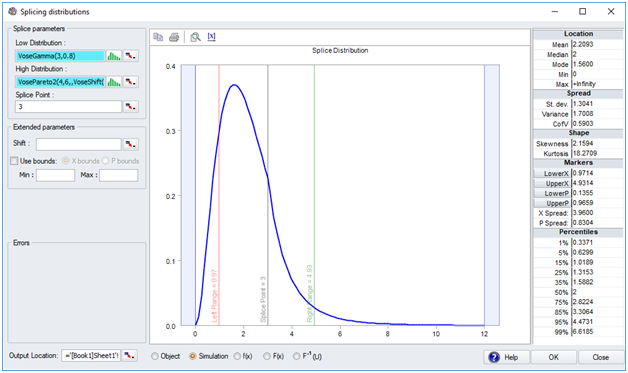 The splicing distribution tool allows you to use hundreds of combinations of distributions to get a more realistic shape. Note: distribution splicing is almost always used with data, when fitted distributions do not show the correct tail characteristics. Critically, ModelRisk also allows fitting spliced distributions to data since, without that capability, it would almost never be of practical value. The ogive distribution tool allows you to construct a distribution directly from the available data. This is particularly useful when one has few data points or when fitted distributions don’t match the observations. 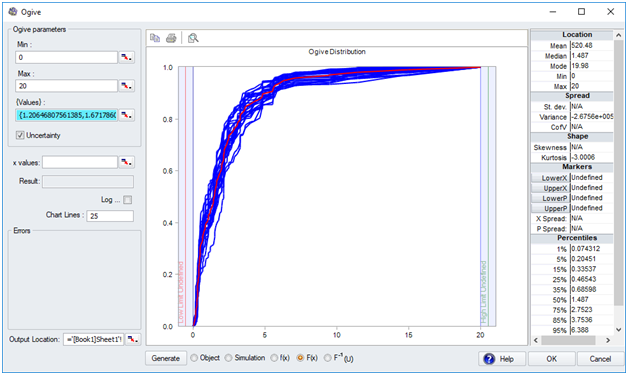 Like all ModelRisk fitting tools, the ogive distribution tool can simulate the uncertainty in the fitted parameters. The deduct distribution tool allows you to construct a distribution of an insurance claim where there is a deductible and/or a maximum payout amount. 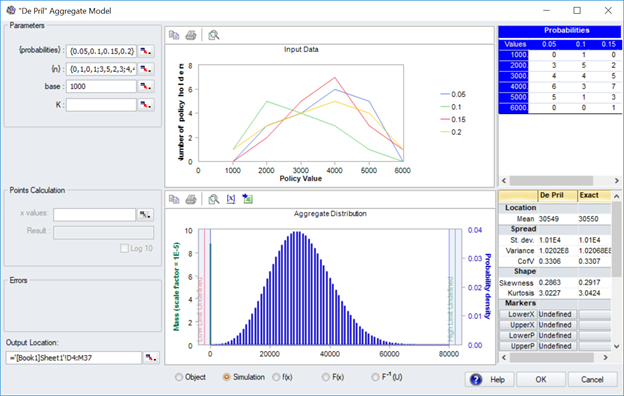 It is one of a large number of insurance tools available in ModelRisk, including payout triangles, premium calculators, tranching and aggregate loss calculators for complex policies. If one asks two or more experts to independently estimate the uncertainty of some quantity (like a cost), they will produce different answers – sometimes similar, sometimes not. One of the most common mistakes people make in risk modeling is in the way these results are combined into one estimate. The combined expert estimate tool solves this problem. The risk event tool constructs a single distribution for the impact of a risk, comprised of zero (risk does not occur) and the distribution of impact. This has many uses – for example, determining the contribution of different risks to a portfolio of risks, finding the 90th percentile, or correlating risk events. 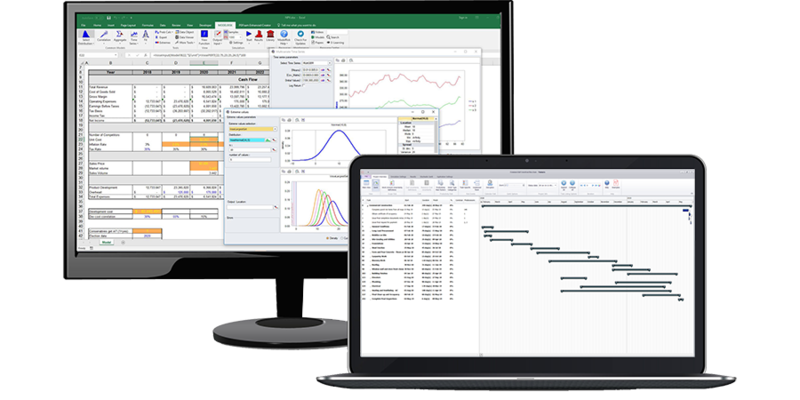 ModelRisk offers a wide range of time series models to make statistical projections of what the variable’s values might be in the future. The multivariate time series tool is used when you have several variables to forecast, like exchange rates, sales volumes, interest rates, or stock prices, when these variables have historically moved together in some way. 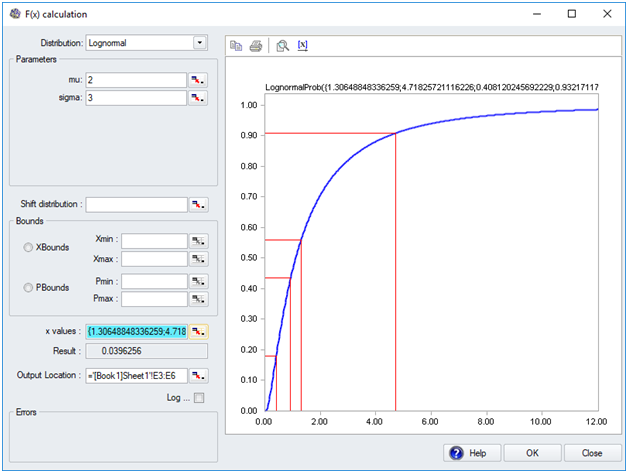 The interpolate tool will return a value from a curve defined by a set of points using linear interpolation. 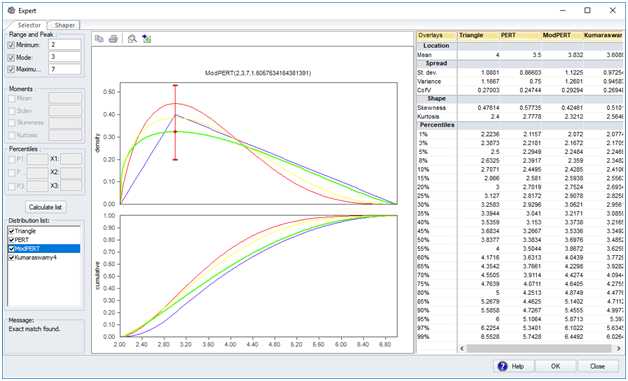 It is a common general modeling problem in many areas and is included in ModelRisk for convenience because during Monte Carlo simulation the interpolation calculation can require a lot of data manipulation which is hard to code. 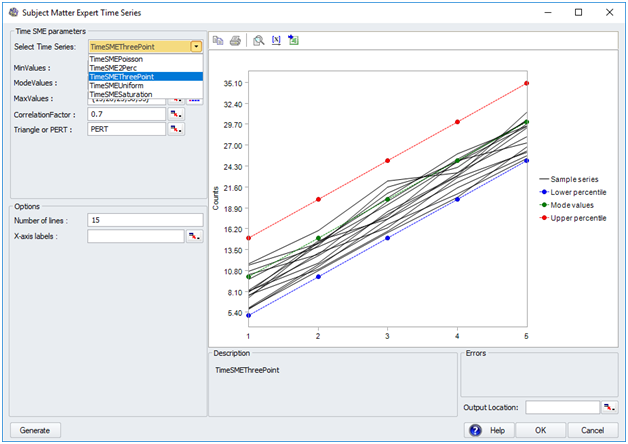 The subject matter expert (SME)) time series tool allows you to build an uncertain forecast over a number of periods, with correlation, by inputting a few simple values. Five different models cover a wide range of scenarios that you will come across. 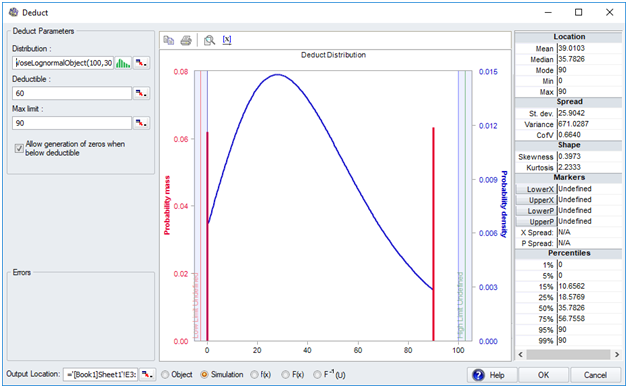 The ordinary differential equation (ODE) tool allows you to build a set of inter-related differential equations. ODEs have a wide variety of applications in engineering and finance, for example. 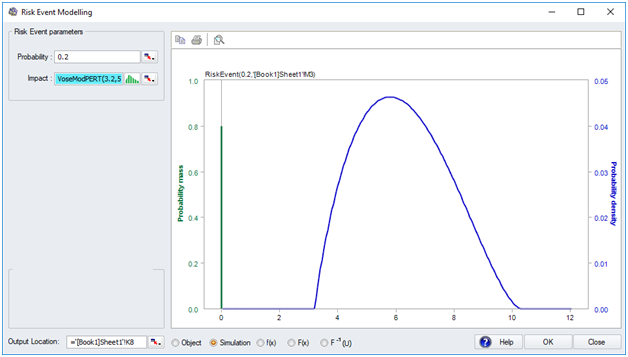 You can then use ModelRisk functions to describe the uncertainty about parameters in the ODE equations and run simulations using Monte Carlo simulation. The integration tool allows you to define a mathematical expression to be integrated between two limits, and then returns the value of the integration. 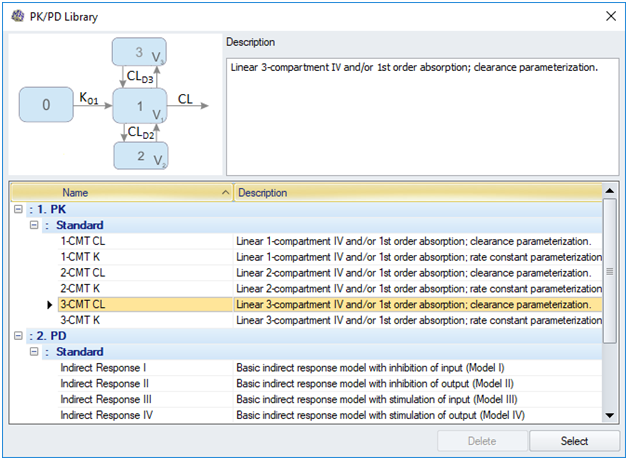 The expression to be integrated can include ModelRisk functions. 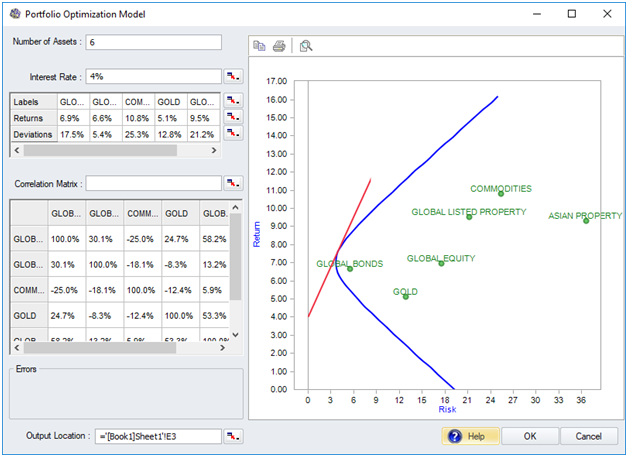 The portfolio optimization tool uses the CAPM model to find the ‘Tangent Portfolio’ – which is the optimal mix of a given set of assets, taking into account market risk, correlation between the assets, the "risk-free" interest rate of the assets, and the returns and deviations of each individual asset. The purpose of the data viewer is to allow you to explore your data quickly and easily, revealing patterns and trends. The data viewer offers a variety of analyses with a few clicks, and will even play videos of your data showing how patterns and trends evolved over time. This tool allows you to place a function in your spreadsheet that calculates the correlation matrix of a set of variables for which you have some data. 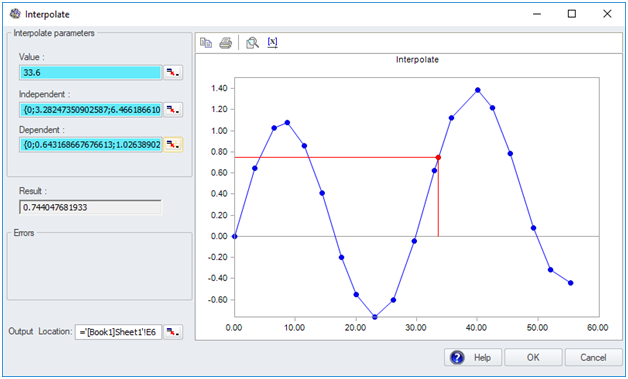 Thee interface also allows you to explore the correlation patterns.